The cartoonist for the Courier-Mail, Sean Leahey is surely one of the most inspiring political cartoonists currently practising the craft. As can be seen from the image to the left, he has almost captured the left eyebrow of the Prime Minister of Australia, John Howard. I think this fact alone ensures that Sean makes a profound contribution to reasoned political debate in this country. 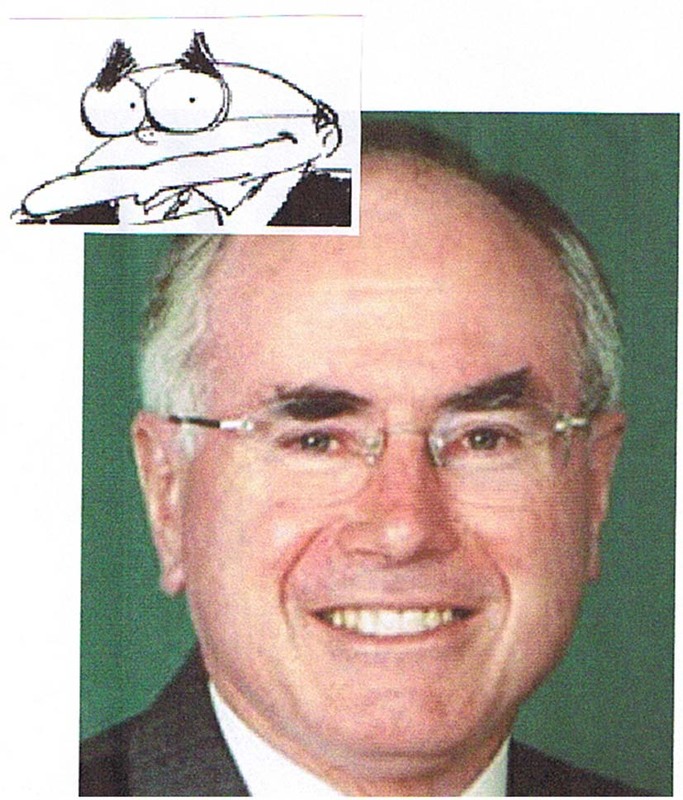 The eyebrow is just... so silly... so... um... like ... uh... John Howard must also be silly... and the eyebrow is like... funny-looking... so Sean Leahey must also be funny. Why do I assert that a cartoonist with such limited graphic skills is an inspiration? For the same reason that I assert that Jim Soorley is an inspiration as a columnist. Both these over-baked over-achievers demonstrate to all of us that any of us can potentially do anything, so long as we lack self-awareness and an accurate knowledge of our abilities. Jim, Sean, hats off to you guys - you have succeeded not only despite your limitations, but because of them.